Firecured: All Things Tobacco: Has the Crook Cigar Gone Extinct? With the recent closing of the GW Van Slyke & Horton cigar factory in Red Lion, Pennsylvania, the crook cigar seems to have gone extinct. Crook cigars, says the Cigar History Museum, are a "type of cigar which, after being made, is pressed in moulds to take on a rectangular cross section with a double bend in the middle. 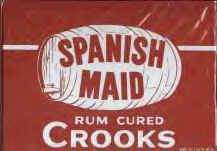 Almost always sweetened with various sugars and/or liquors. Most popular in the 1950's, a beginner's cigar for many smokers, the style can be traced back as far as 1900 with certainty (probably earlier)." According to Patricia A. Cooper, the crook cigar originated in Red Lion, so it seems appropriate that a Red Lion factory was the last to make them. The second to the last company to make them was House of Windsor, which was right up the road from Red Lion, but they sold out a few years ago and, after a brief revival, disappeared entirely. House of Windsor's brand was called Wolf Brothers. They also made a small cigar called a "crookette." While there are plenty of rum flavored cigars left, none of them have that crooked bend in them, which seems a shame as a lot of people appear to still like them, if internet chatter is any indication. 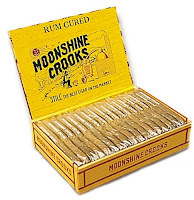 Rum Crooks started out as a five cent cigar and never aspired to anything grander, but they were a good smoke, something you'd grab at the gas station while waiting for a tire to be changed, or to fill your vest pockets with, before a fishing trip. Some people smoked the lowly crooks exclusively - and happily - for decades. I never liked them enough to make them my only smoke, but I always liked to keep some on hand, occasionally passing over cigars that cost ten times as much, just for the sheer pleasure of the things. 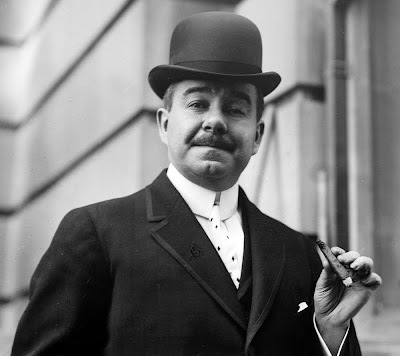 The demise of GW Van Slyke & Horton leaves us with only a handful of old-time American cigar makers still in operation: F. X. Smith, Finck, Avanti, and National Cigar are about the only one's left. Smoked and loved Wolf Bro. Crooks through Viet Nam. Wish they were still here. . . . I too was in Viet Nam and enjoyed rum soaked crook cigars and wish they were still around. 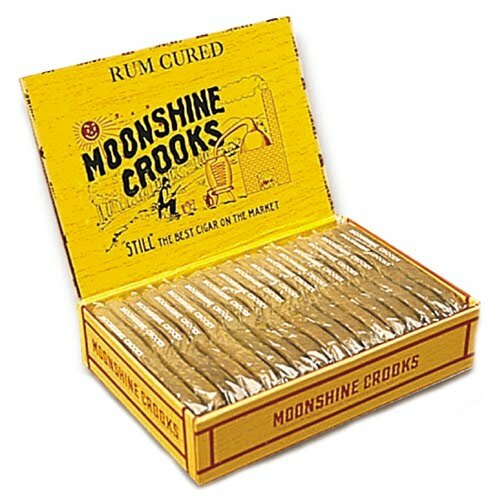 Does anyone know what a 50 count box of Wolf Bros. sweet rum crooks is worth? I have a few sealed boxes from a cigar store that went out a business years ago. All the cigars are individually sealed. Pennsylvania's first district was located in Philadelphia. This was a federal tax district just for cigars.